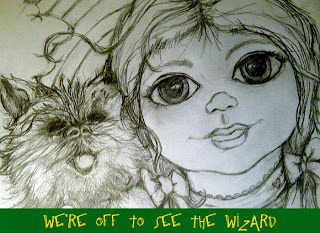 After a day of dolly development that took me on an adventure down the yellow brick road I was still humming "We're off to see the Wizard" well into the night! Which I do believe is the reason why Dorothy and Toto, complete with a magical rainbow, showed up on my sketchpad! So after a google search for a photo from the original movie (a bit more inspiration) I came up with this one...classic and sweet! Which resulted in this sketchy Pop Art Mini version. Still a ways to go before they get to the Emerald City. Stay tuned as the colorful adventure unfolds! 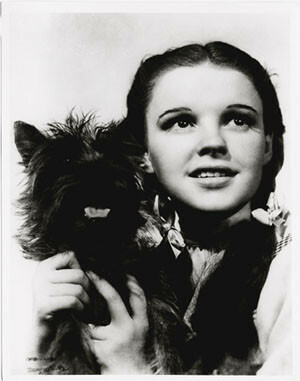 precious little Dorothy and Toto is adorable! I can't believe how quickly you do these,, its amazing and you always come up with fresh wonderful ideas.I love this so much work. 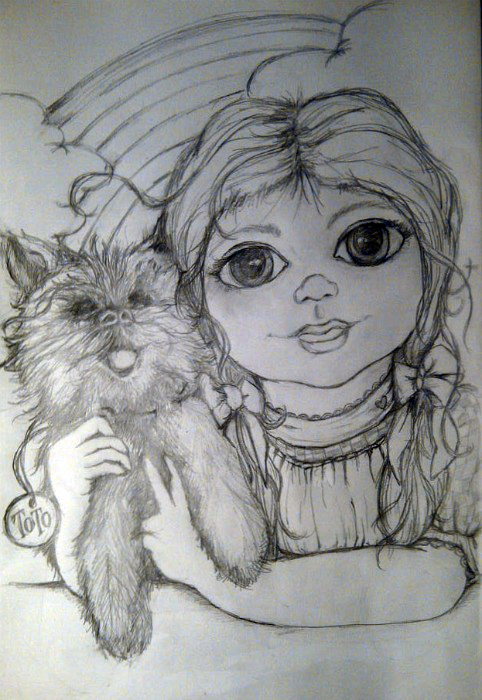 oh this is ADORABLE- My little daughter, saylor, loves toto and dorothy! I will have to show her this! too cute!!!! I love the Wizard of Oz and again Joni you've drawn something that tugs at my heart strings. Joni, your newest pop art mini is just precious. I love the Toto lookalike in the sketch. I'm eager to see it progress. Enjoying the linework and composition in this sketch so much... but of course, will stay tuned for your lovely color finish. Have a good weekend!